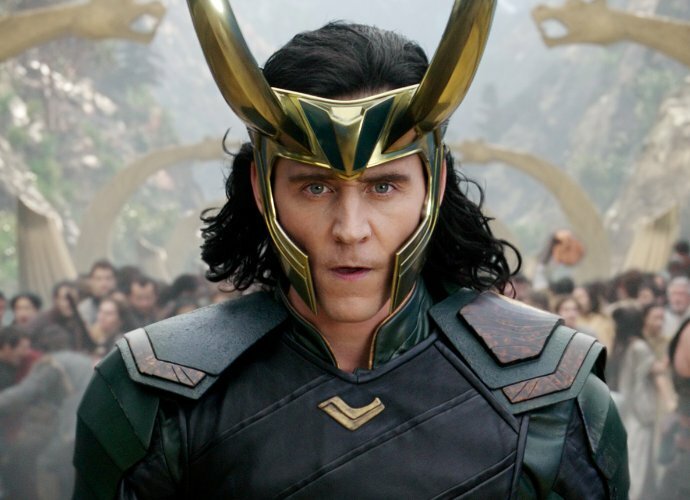 Los Angeles, Nov 5: Hollywood actor Tom Hiddleston will be reprising his role as Loki in "Avengers 4". He was spotted filming a scene of the upcoming movie. Fellow "Avengers 4" actors Chris Hemsworth and Robert Downey Jr. were seen alongside him, reports aceshowbiz.com. The images of the shoot which spread online led fans to speculate that the stars were filming a flashback scene. The speculation arose as Hiddleton's character was seen being restrained by a device over his mouth. They might be recreating the ending of "The Avengers", where Loki lost to the superheroes. Fans were more convinced as Hemsworth was seen sporting long hair despite his character cutting his blond locks in "Thor: Ragnarok". Not only that, but Hemsworth was also seen chatting with Downey Jr., who rocked a black-and-gold Sabbath shirt. "Avengers 4" will hit the screen on May 3, 2019.